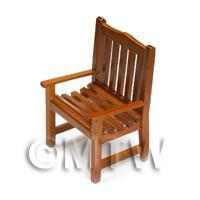 Your Search Results for "furniture"
We found 355 items that matched your search. 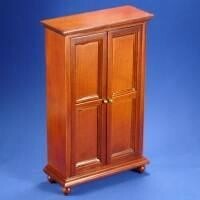 Product ID: 682 A lovely 1:12th scale mahogany colour 2 door wardrobe.This accessory is part of our affordable range of dolls house miniature accessories, providing a quick and effective way of furnishing all of the rooms in your dolls house. 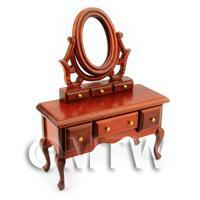 Product ID: 692 A lovely 1:12th scale mahogany colour dressing table. 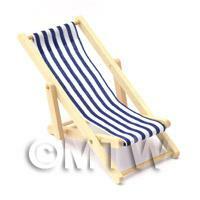 This accessory is part of our affordable range of dolls house miniature accessories, providing a quick and effective way of furnishing all of the rooms in your dolls house. 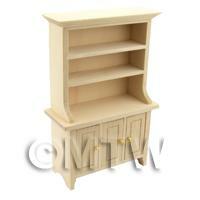 Product ID: 700 A lovely small pine kitchen dresser with 2 shelves and 3 opening cupboards.This accessory is part of our affordable range of dolls house miniature accessories, providing a quick and effective way of furnishing all of the rooms in your dolls house. 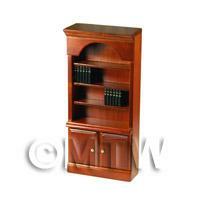 Product ID: 705 A lovely mahogany colour bookshelf inclusive with 12 books and 2 opening cupboards. 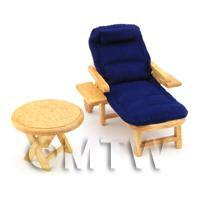 This accessory is part of our affordable range of dolls house miniature accessories, providing a quick and effective way of furnishing all of the rooms in your dolls house. 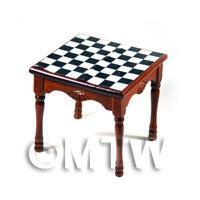 Product ID: 706 A beautiful mahogany colour table with a black and white checked top. 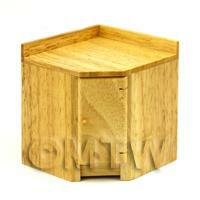 Ideal if you want to make or own chess or draughts peices. 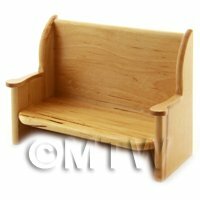 This accessory is part of our affordable range of dolls house miniature accessories, providing a quick and effective way of furnishing all of the rooms in your dolls house. 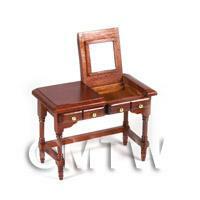 Product ID: 707 A lovely mahogany colour table with 4 pull out draws and a lifting top with a mirror on the inside. 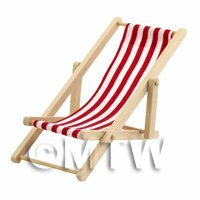 This accessory is part of our affordable range of dolls house miniature accessories, providing a quick and effective way of furnishing all of the rooms in your dolls house. 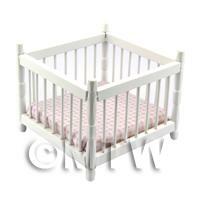 Product ID: 709 A lovely 1:12th scale white cot with padded bottom. 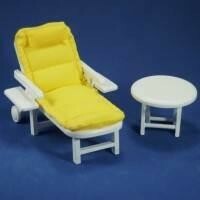 This accessory is part of our affordable range of dolls house miniature accessories, providing a quick and effective way of furnishing all of the rooms in your dolls house. 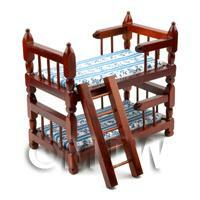 Product ID: 721 Lovely 1:12th scale mahogany colour bunk beds with matching blue flower quilts. 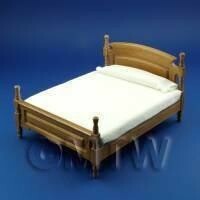 Beds separate for use as 2 single beds.This accessory is part of our affordable range of dolls house miniature accessories, providing a quick and effective way of furnishing all of the rooms in your dolls house. 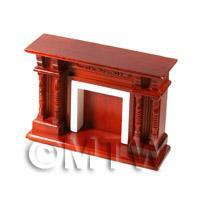 Product ID: 726 A lovely miniature mahogany colour 1:12th scale fireplace, that would look lovely in any dolls house scene. 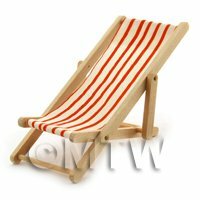 This accessory is part of our affordable range of dolls house miniature accessories, providing a quick and effective way of furnishing all of the rooms in your dolls house. 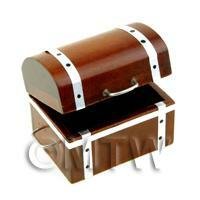 Product ID: 861 A finely made 1:12th scale mahogany coloured treasure chest. 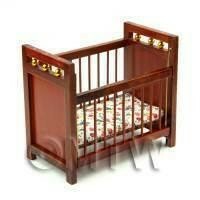 This is a great item that would feature well in attic or a childs bedroom scene.This accessory is part of our affordable range of 1:12th and 1:24th scale dolls house miniature accessories, providing a quick and effective way of furnishing all of the rooms in your dolls house. 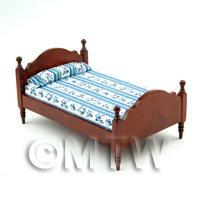 Product ID: 1048 Beautiful pine childrens single bed with a white mattress.This accessory is part of our affordable range of dolls house miniature accessories, providing a quick and effective way of furnishing all of the rooms in your dolls house. 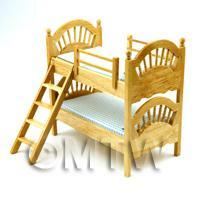 Product ID: 1053 Very popular childrens pine bunk bed. 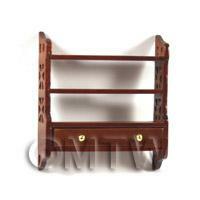 Solid wood with blue check material and removable ladder.This accessory is part of our affordable range of dolls house miniature accessories, providing a quick and effective way of furnishing all of the rooms in your dolls house. 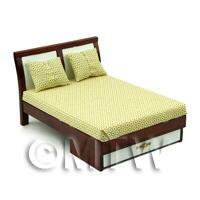 Product ID: 1096 This is a beautiful top quality solid wood double bed, that comes with white covers. 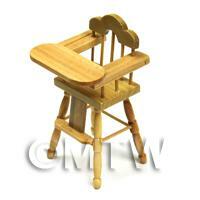 This would make any bedroom look complete. 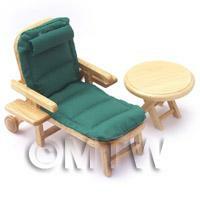 This accessory is part of our affordable range of dolls house miniature accessories, providing a quick and effective way of furnishing all of the rooms in your dolls house. 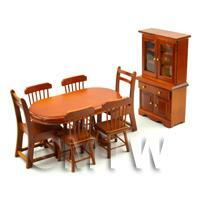 Product ID: 1723 A nice dining table and chairs set with display cabinet and side chairs. 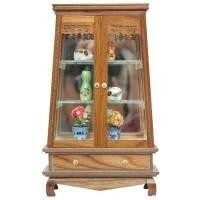 Product ID: 1726 An ornate display cabinet with cabriole legs, in pine coloured wood. 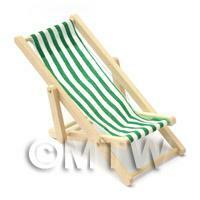 This accessory is part of our affordable range of dolls house miniature accessories, providing a quick and effective way of furnishing all of the rooms in your dolls house. 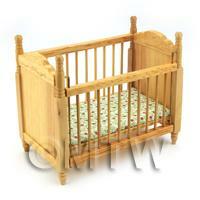 Product ID: 1727 A nice little pine cot for that childs bedroom. 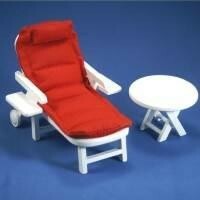 Complete with mattress. 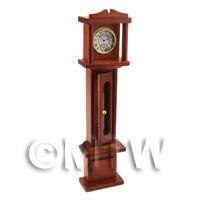 This accessory is part of our affordable range of dolls house miniature accessories, providing a quick and effective way of furnishing all of the rooms in your dolls house. 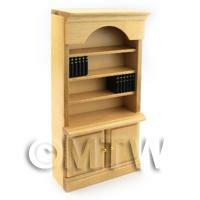 Product ID: 1728 A nice pine unfinished book case complete with two sets of ornament black books. 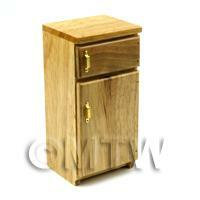 This accessory is part of our affordable range of dolls house miniature accessories, providing a quick and effective way of furnishing all of the rooms in your dolls house. 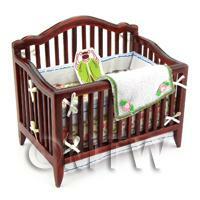 Product ID: 1751 Miniature decorated childrens mahoganny style baby cot, complete with changing mat, bows and a mattress. 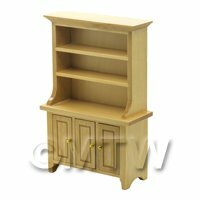 This accessory is part of our affordable range of dolls house miniature accessories, providing a quick and effective way of furnishing all of the rooms in your dolls house. 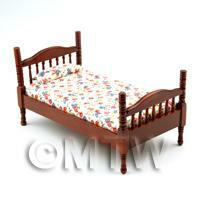 Product ID: 1753 A delightful mahogany coloured bed with floral pattern pillow and duvet, suited to a childrens room due to length. 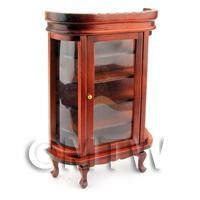 This accessory is part of our affordable range of dolls house miniature accessories, providing a quick and effective way of furnishing all of the rooms in your dolls house. 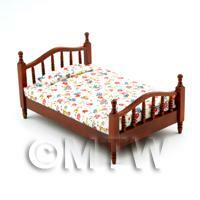 Product ID: 1754 Adult sized single bed on a wooden mahogny coloured frame. 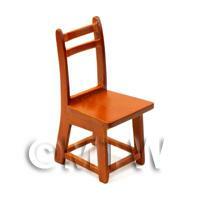 This accessory is part of our affordable range of dolls house miniature accessories, providing a quick and effective way of furnishing all of the rooms in your dolls house. 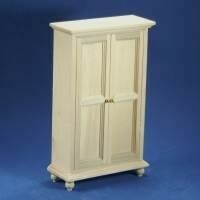 Product ID: 1784 A lovely pine kitchen dresser supplied unfinished ready for distressing, varnishing or painting as desired! 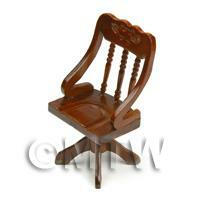 This accessory is part of our affordable range of dolls house miniature accessories, providing a quick and effective way of furnishing all of the rooms in your dolls house. 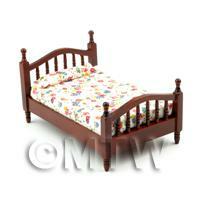 Product ID: 1791 A lovely tudor style monks bench supplied finished in varnish. 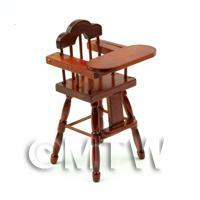 This accessory is part of our affordable range of dolls house miniature accessories, providing a quick and effective way of furnishing all of the rooms in your dolls house. 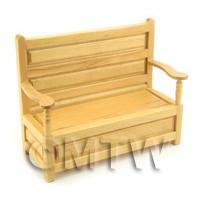 Product ID: 1792 A lovely settle bench supplied finished in varnish. 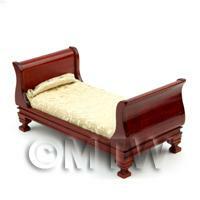 This accessory is part of our affordable range of dolls house miniature accessories, providing a quick and effective way of furnishing all of the rooms in your dolls house. 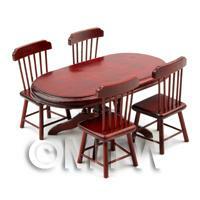 Product ID: 5544 Classic Dark Mahogany Table and 4 Chairs in a convenient set at an affordable price.This accessory is part of our affordable range of dolls house miniature accessories, providing a quick and effective way of furnishing all of the rooms in your dolls house. 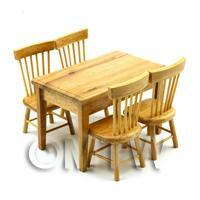 Product ID: 5545 This table is perfect for your old style kitchen scenes - try one of our old style mixing bowls and rolling pins on it for a really authentic look! 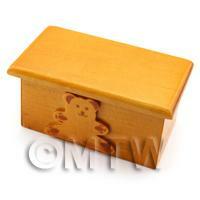 This accessory is part of our affordable range of dolls house miniature accessories, providing a quick and effective way of furnishing all of the rooms in your dolls house.